Cadence nesting chairs can take you anywhere. 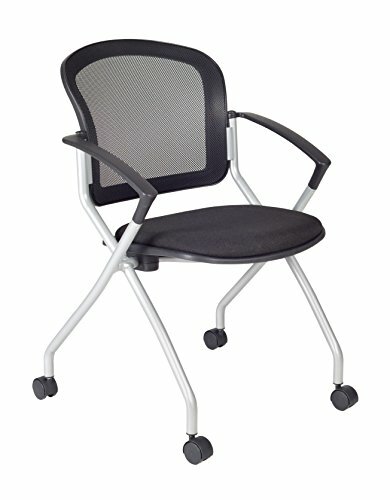 A breathable mesh back conforms to users' needs and the seat flips up to provide a unique nesting option. The stylish silver base features four casters for easy mobility and the seat is upholstered with a lasting black fabric. The Cadence looks great in sets and is perfect for large training rooms, labs, classrooms, cafes or waiting rooms. All Regency chairs are backed by a 5-year limited manufacturer's warranty on chair bases and frames and a 2-year limited manufacturer's warranty on chair mechanisms and upholstery. If you have any questions about this product by Regency, contact us by completing and submitting the form below. If you are looking for a specif part number, please include it with your message.